You want to add class to your style with eyeglasses because you know the need for the eyeglasses, there is nothing bad about that, but how to determine the best eyeglasses for your face shape is what you need to consider. Lots of guys, ladies even older men and women look for classy spectacles to add up to their beauty and handsomeness especially on a special occasion that so many people will want to show off of what they got in store and I’m sure you’ll not want to be left out of this classy show off. If you wrongly choose your eyeglasses, it can’t make you the real class you’ve wanted, it may not be your fault anyway; it’s probably because you’re not aware of your face shape which will determine the best eyeglasses for a perfect outing. Most people fail to do that, so is not a new thing. But once you know your face shape, you will be able to choose the best eyeglasses for yourself without the worry whether it’s going to fit you perfectly and bring out the class you’ve wanted. 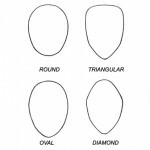 After you’ve determined your face shape being it, oval, rectangle, diamond, round, square, or whatever your face shape may be, then you will need to look up what eyeglasses perfectly fit your face shape as explained below. Oval Face Shape: Oval face shape is the easiest to work with, nearly all frames will fit in but to make it the ideal one, you’ll need eyeglasses that is as wider as the broadest part of your face or slightly wider than the broadest part of the face. You can avoid much rounded spectacle for a perfect outing. Square Face Shape: This face shape has it wide and length equal to each other, the type of eyeglasses you’ll need for a classy outlook will be the one that is oval or rounded shape. Avoid sharp edge or corners rectangular eyeglasses and as well as square spectacle. 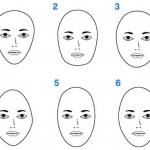 Round Face Shape: Round face is known be fully cheek and rounded chin, you will need eyeglasses that will be of angular as well as narrow frame styles which will help you to lengthen your face. Look for spectacle that is more rectangular and wider, it will balance the shape of the face, giving you more good looking appearance. Don’t ever go for rounded spectacle, you’re not going to look good in it. 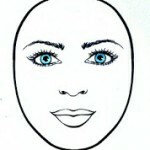 Rectangle Face Shape: If your face is of rectangular in shape, then you must be having a longer face than it is wide and probably with long nose. Your best bet eyeglass is the square shape spectacle which will help you reducing the elongation of your face shape. 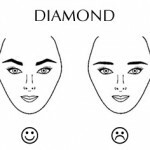 Diamond Face Shape: Rare face shape but still exist, it’s characterized with narrow forehead, wider cheekbones and narrow chin. Your best fit eyeglass is to look for spectacle that is oversized your face possibly with oval or rounded type of eyeglasses. 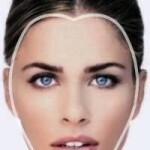 This will help to neutralized the narrowness of your face and make it look equal to the wider cheekbone thus giving you a perfect outlook appearance. I just hope your face shape is mention here and with it, you got no fear any more in selecting your best eyeglasses. Choosing the right pair of glasses isn’t only about comfort and usability, it’s also important that your glasses look good. Your eyeglasses will reflect your personality in a big time.